I no sooner published my last post when Lou strolled in and announced that GIMME SHELTER had garnered yet another media mention, this time in the ‘Malibu Seen’ column of the Malibu Times. Writer Kim Devore crafted a cute Mother’s Day piece entitled “How I Met Your Mother” in which she revealed the chain of serendipitous events that brought our book to the attention of her mom, superstar decorator and philanthropist, Erika Brunson, who subsequently sponsored the donation of 100 copies of GS to the local probation camp schools where Lou works. A hearty ‘grazie’ to Kim, Erika and all the moms out there who keep the love flowing to man and beast. In our haste to mention this weekend’s No KIll LA mega-adoption, we forgot to report on last Sunday’s Woofstock, Malibu event. Hosted by actor and animal activist Brad Garrett (Everybody Loves Raymond), and our dear friend, Pet Life radio hostess Megan Blake, it drew a sizable crowd who came to browse the vendors, sample the free munchies – human and canine – and groove to the sounds of great local bands. 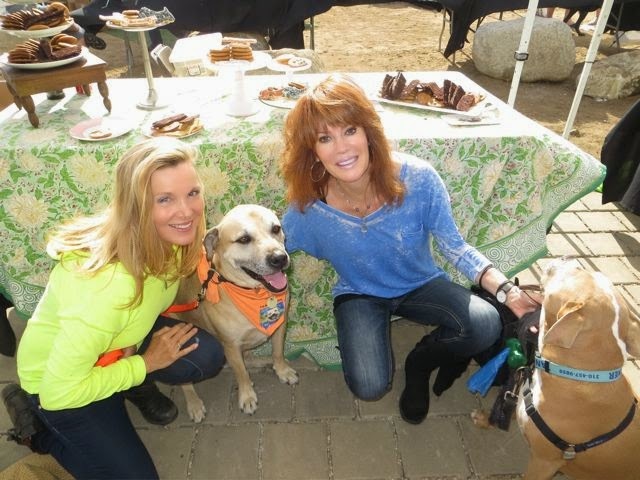 While the ostensible reason for the party was the grand reopening of the remodeled Malibu Coast Animal Hospital, where Tanner’s vet Dr. Lisa Newall hangs her shingle, we’re hoping it will become an annual soiree, a doggie Coachella by the sea.